There is a certain irony in that the British – the inventors of twitching – have yet to launch a website that shows an accurate and complete list of top twitchers. Correct me if I´m wrong. For such a list to be taken seriously it has to be taxonomically official, thus to follow BOURC is the only option, the so-called UK400 Club is not an official authority and should therefore be abandoned. Many British twitchers will keep a combined British and Irish list. However, for me as a foreigner (and I think I speak for many other European birders) it would be more interesting to see this list as two separate totals, Britain and Ireland being different countries. The list would then be logically based and indeed comparable on a European scale. You won´t find Scandinavians that keep a Swedish and Danish list. There will always be problem issues – different people using different rules, people hiding and so on – and in my own country of Norway neither the full list nor the self-found list published online is accurate and complete as seen from the top. But twitchers know what other twitchers have seen, so a compilation is certainly possible to make. Britain is not a country. The island of Ireland contains two countries. Historically, and until very recently, the official list was a British & Irish list and the Rare Bird Reports covered the combined area. Because it is very longstanding, it is actually very difficult to try and guess a top official list. Who saw 60's blockers of Macqueen's Bustard and Brown Thrasher or 70's blockers like Bimaculated Lark, Tennessee Warbler, American Kestrel or Pallas's Reed Bunting or who travelled in 1982 or was on the Western Isles so missed the White-crowned Wheatear that year etc? Some are easy. The one top twitcher with Hawk Owl or who got the Wood Thrush or who found the Rock Sparrow? But even who was late for the Purple Martin or the Eastern Kingbird or got a plane in for the second Sibe Blue Robin etc is soon an irrelevant memory to those working out their personal list. Even those people who discuss such things are never that sure save that they know the lists that they see published are normally nonsense. Top British & Irish lists are 560's, top British lists are 550's and top English lists are 520's (I guess). I promise I will take geography lessons, Britain with and without. Rather than anyone´s guesswork the most concerned must get onboard, I think it would be difficult to forget having seen those historical rarities even though it was half a century ago. With published lists being, as you/others implie, very much inaccurate and for a long time, a new order and launch is overdue. Not least the ten most concerned would benefit, the situation now being that some seem invisible while some get a false list attached to their name. With regards to the top echelons of British listers, Paul is absolutely correct to point out the difficulties in surmising the highest of totals. That said, I have been in direct conversation with those individuals who saw (in chronological order of occurrence), the Macqueen's Bustard, Brown Thrasher, Hawk Owl and Wood Thrush, to name but some of those classic "blockers". And I was privileged to see the American Kestrel and Wallcreeper in the seventies, which I vividly recall but cruelly dipped (pre-telephone information services, pagers and apps) the White-crowned Black Wheatear by a day! For those lists that have been made public in one format or another, I do take exception with the comment on this thread that they are somehow regarded as "normally nonsense". 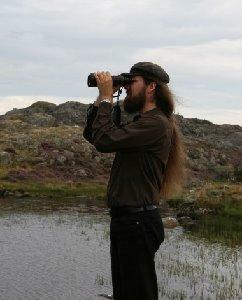 I believe most birders take a great deal of pride and applied scrutiny with their life lists. Such sites as BUBOListing here act as an open invitation and forum for contribution, so as to be perused by anybody who cares to be interested. Such transparency and hoped for integrity is most welcomed. Ace twitcher Steve Webb, for instance, has advocated this approach for years but it still seems many well known and long standing listers have remained coy. Competitiveness aside, having sight of more of those older lists and accompanying profiles would make for very interesting reading, adding historical insight and dimension about the British "twitching" scene which is, after all, about people, characters and stories as well as the birds themselves. It is highly unlikely that anybody in their own lifetimes will ever see all the species of birds (still extant) on the British list within the current geographical recording zone (England, Wales and Scotland but excluding the Isle of Man and the whole of Ireland) as designated by the BOU Records Committee (BOURC). With that in mind, I have taken an increasingly philosophical approach to native listing, being content to try and see any seemingly unrepeatable species, such as Spotted Eagle, Tufted Puffin, Aleutian Tern, Great Black-headed Gull (a much more appealing name than Pallas's Gull in my opinion), Varied Thrush or Summer Tanager etc., somewhere else in the world at least. Nonetheless, a British list will remain forever special. My reference was to lists of top twitchers and NOT the contents of the few lists of birds that are published by them. For a refresher see Birding World 4: 317–320. Last edit: 1 year 4 months ago by Geir Mobakken. Yes - Birding World Volume 4 No.9 Pages 317 to 320 is an invaluable reference but at least five of them have ceased to be the most active twitchers so it is information that you need on others to make the comparison. As if to illustrate my point that knowing who has seen what is very difficult, I yesterday read an obituary on a sadly recently lost stalwart of the British birding scene. The article said that the birder was the only individual who had seen both Pallas's Reed Bunting and Eastern Kingbird on his British list. In fact, there is at least one other and I suspect no one really knows how many have seen historic birds like Pallas's Reed Bunting. There is no website specifically just for BOU or combined BOU/IRBC lists but this website (bubo) is the nearest to it. The BOURC historically maintained a British and Irish list including a checklist but this ceased in 2002. Even today most of the top listers do not keep a BOU only list. Three of the top 10 combined listers are on bubo (i.e. Brett Richards, Paul Chapman and me). The other seven of the 10 are mentioned at lgrebirds.wordpress.com/2017/10/15/the-real-top-10-listers . It would be nice if more birders put their list(s) on bubo then we know for certain what birds twitchers are claiming. Last edit: 1 year 4 months ago by Steve Webb. I would add that I don't know whether I am in the Top 10 (and I am not convinced anyone does know for certain) - though I can hazard a guess on which species that others have seen that I have not! !